Learning that takes place at SAR is predicated on the understanding that all children possess a divine spark, that they all have a unique contribution to make to this world, and that they will perform their best when they are joyfully engaged as active and confident learners. SAR’s open architecture, both physical and philosophical, promotes open thinking, boundless energy, and a warmth that radiates. Our students feel confident about themselves, about their questions, and about their achievements, both academic and social. Their confidence, in turn, transforms their schooling from a passive understanding to living ownership of the work and learning they enjoy every day. We emphasize relationships, in which all members of the school, students and faculty alike, interact in ways that reflect respect, collaboration, and a shared commitment to Torah and mitzvot. Here we live Judaism. We care for one another and for our school community, and we accept our responsibilities as world citizens as we challenge each other to grow every day. We invite you to come and experience SAR for yourself, and observe our commitment to helping students move beyond their comfortable limits as they grow as learners and human beings. Upon walking through the open air spaces of SAR High School, one immediately senses the warmth, vibrancy and inspiration that permeate the building. One is greeted by smiling faces, students happy to come each day to learn Torah and general studies with teachers, administration and staff who love, respect and care for them deeply. The spirit of inquiry and exploration is infectious. Challenging learning and a love for each other - these are the building blocks of the SAR experience. We are so proud to be a mission driven, coeducational Modern Orthodox yeshiva high school. SAR High School is committed to creating a community of learners dedicated to shaping thoughtful and caring young men and women with a deep commitment to Torah and mitzvot as well as a deep concern for the world around them. At SAR, we believe that Torah shapes how we see the world and how we see the world informs our understanding of Torah. A spirit of critical inquiry merges with profound respect and dedication for halakhic practice and Jewish values. 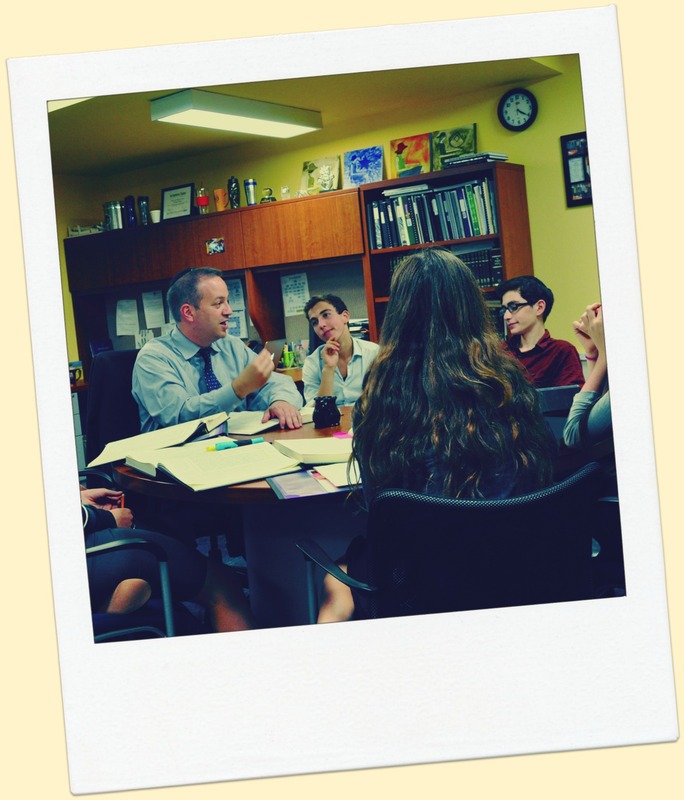 Advisory, Beit Midrash fellows, grade meetings, shabbatonim – and a rich array of curricular and co-curricular programming – provide students with many opportunities to find their voice and explore their passions and talents outside the classroom. SAR High School is committed to helping students move beyond their comfortable limits as they grow as learners and human beings. We hope that you enjoy visiting our website. Better yet, come visit us. We look forward to welcoming you in person to SAR High School.